Designed exclusively for buyers, hiring us to perform a certified, professional pre-purchase inspection will help you make an informed buying decision. Both financially and emotionally, your new home is one of the biggest investments you’ll ever make. You will enjoy many years of happiness - if you have chosen wisely. At first glance, the home may appear to be in great shape. But, it may contain a defect that could be financially devastating. 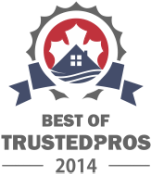 Protect your investment with a pre-purchase inspection by 360 Inspection Services, a trusted and professional leader in home inspection services throughout the Kitchener, Waterloo, Cambridge, Guelph, Brantford and London area. Getting us to perform a pre-purchase inspection is just the start of a long-term commitment we make to all of our Kitchener, Waterloo, Cambridge, Guelph, Brantford and London​ clients. 360 Inspection Services is dedicated to delivering the best pre-purchase inspections throughout Kitchener, Waterloo, Cambridge, Guelph, Brantford and London.